Who doesn’t love portable apps? You can carry them around in your thumbdrive, or launch them from a cloud drive. They don’t need to be installed and yet, allows you to commandeer any computer with your choice of applications. Today, we’d like to announce the release of our Best Portable Apps page! We’ve populated it with awesome apps that we’re sure that you’ll find useful on the move. Included are gems like OpenOffice, allowing you to work on your documents wherever Microsoft Office isn’t installed; KeePass, to help you remember your passwords on the go; TeamViewer, to connect to remote computers no matter where you are; and VLC Player, when you need the flexibility of a versatile media player. 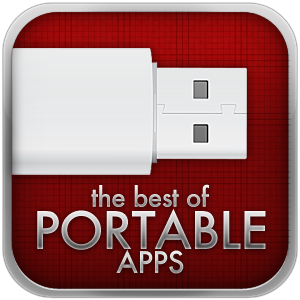 For the full listing of the best portable apps, visit our Best Portable Apps page! As with the rest of our Best Of family, we’re sure to update this page constantly so bookmark it and check back frequently to discover more useful portable apps that you can store on your thumbdrive. If we’ve missed your favourite portable app, feel free to let us know by commenting on the page. And please don’t forget to share the page with your friends! Use the social sharing buttons right there on the page itself. Todd, I don't mean to sound like I keep harping on you, but the Smartphone soft key ceahgns were dramatic ? They were more of an Oh. cool. for me.Anyway, on a more constructive note, I usually don't see Mortscript mentioned in these kinds of lists. It's a powerful and easy-to-learn scripting language for Windows Mobile (and Windows iirc). I use it to perform otherwise tedious tasks and to set up my phone with my customizations (CABs and Reg edits) after a wipe. It's free.Another note, the .NET Compact Framework 3.5 seems to yield large performance and stability improvements over 2.0 and I urge you to check it out.BTW, you're right, I'm not David Pogue. I'm familiar with portableapps.com but are there any other websites that offer suites other than for systems tools? For someone who uses public computers and carries a USB around, these are really helpful. Thank you for this! Sinserely speaking, makeuseof is doing great. a0App Store is by apple for iPhone and iPod Touch, iPad and Mac create svcriee that allows users to from iTunes Store or Mac App Store browse and download some to iPhone SDK or Mac development application. I;m all about the auto update feature that Portable apps includes. Sorry about this, but my question is about another article you wrote long time ago, and I cannot use google+. Anyway, about file sharing between Windows and Mac. I can see my mac in windows' net work and mac can read windows' files. But, I want use a account to log in the mac, which I cannot. I have to share the files I want to share with everyone to allow my windows read mac's files. Is there any way that I can see mac's files like it between windows, which I have to have a account to check files. I usually just use chines to ask questions, I hope you could understand what I'm asking. Thx. If I understand what you're asking, then the answer would have to be no. In order to access all of your Mac files, you'd need to access it through AFP, which isn't available from a Windows PC. I carry a USB stick with me at all times and have been a fan of portable applications for a long time. Thanks for this list. There are some gems on it. Can I suggest portable Dropbox (HKK Dropbox)? In the current era of cloud computing, I think no one really cares portable apps anymore. Really? That may be a very general assumption. Some users might prefer using a portable browser on a public computer. Others like to carry their apps on a thumbdrive if they work offline a lot. i am sorry Emir but i guess you are under a very wrong impression. cloud computing may be good for countries where internet speed/access is just like "wow!". however, portable apps, although limited in compared to the corresponding installed one, are worth keeping it...i would walk 1000 miles to grab a portable software anytime, anywhere, anyhow. there are several pros but what impresses me the most is that it does not need to be "installed". i have recently started keeping portable apps in my home computer whenever available. and, guess what? you can keep unlimited no matter whether you use it frequently or not. windows is registry dependent which means more the apps you install, heavier the registry (and the system) would be which slows down the system. i can see amazing result by not keeping too many installed software. thanks to makeuseof to make the searching job so easy for us. You should really check out our Best of Portable Apps page. You'd be surprised at the number of apps that isn't included in the PortableApps suite.